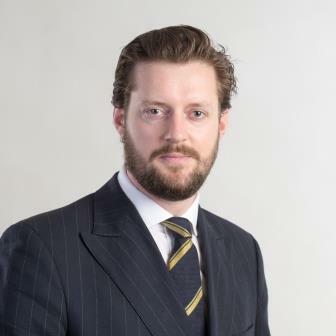 Robert is a Jersey Advocate and English barrister (currently non-practising) specialising in trusts, company, commercial and insolvency litigation. At Dickinson Gleeson Robert has acted in and advised clients in a number of high-value commercial matters in particular involving breach of trust claims, directors’ breach of duty claims, trust disclosure and enforcement of foreign orders in relation to trusts, actions to remove trustees and protectors, freezing injunctions and insolvency procedures. Robert also advises trustees and directors on their duties, including in insolvency situations. Robert is a graduate of Oxford University and was called to the English bar in 2006, practising at Radcliffe Chambers in Lincoln’s Inn. In 2012 Robert joined Ogier in the BVI. In England and BVI respectively, Robert advised on a broad range of trust, company, commercial, fraud and asset-tracing and insolvency matters and appeared regularly in interim applications, trials and appeals in the County Court, High Court, English Court of Appeal, BVI High Court and Eastern Caribbean Court of Appeal. Robert joined Dickinson Gleeson in 2015 and became a partner in January 2019. He has been described as “particularly good” and “well regarded” in Legal 500. Robert is a member of ARIES, the Middle Temple, an Overseas Member of the Chancery Bar Association, and an Honorary Member of Radcliffe Chambers.